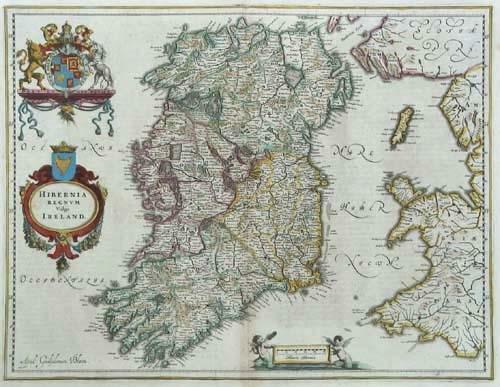 Title: 'Hibernia regnum vulgo Ireland'. French text edition. A good and dark impression of a cornerstone map of Ireland, with three decorative cartouches in full original colour. The condition is very good with only some light marginal staining.